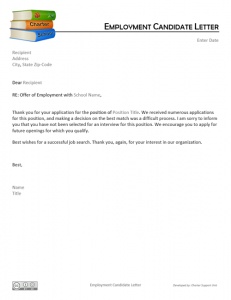 This is a sample letter a school can use to notify a candidate for a job that they were not selected for the position. This is a document for staff members to file a complaint about the operations of the school. 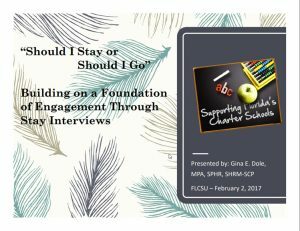 Each school should have a policy about how such complaints are handled at the school and who is responsible for receiving and investigating employee complaints. 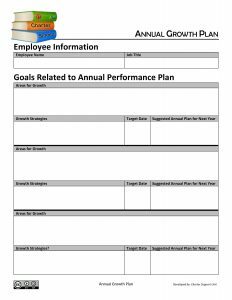 This is a form that a school could adopt to document improvements the administration expects to see in employees who are demonstrating deficiencies in their performance. This is a form that a school could adopt to give employees the opportunity to file a complaint of discrimination or harassment against the school or other staff member. 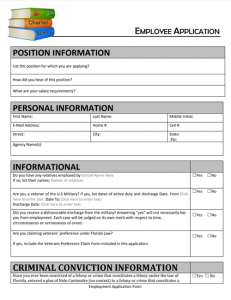 Sample employee application form to use for potential employees. 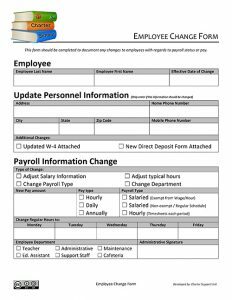 Form to be used to document when a change is made to an employee’s salary or position. 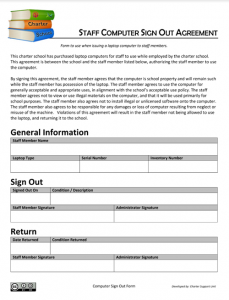 This sample document can be used to document disputes between employees to document the resolution to the problem so that there is a paper trail for the benefit of the school to document the resolutions that were agreed to. 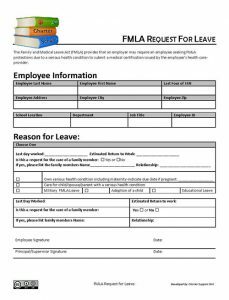 Form to use to ensure all tasks are completed when an employee resigns or is terminated. 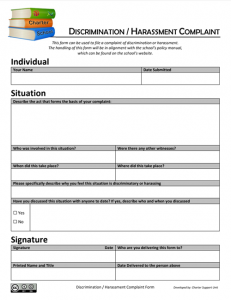 This is a sample form a school can use to allow employees to file a grievance or complaint against the school regarding a concern they have. This will allow the school to proactively try to deal with and resolve the issues as well as formally document the issues. 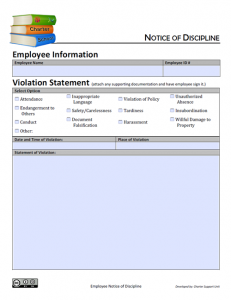 This is a form that schools can use to formally document when disciplinary actions are taken with regards to school employees. 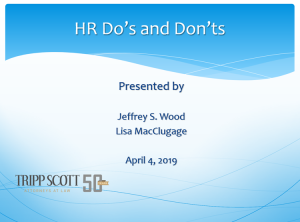 It is extremely important that the administration document such incidents so that a paper trail exists in case further action is required for an employee. 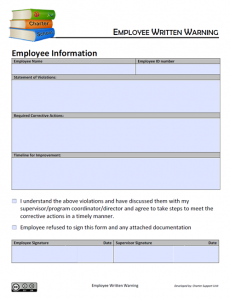 This form is a way to document the employee reference checks conducted on employee applicants. 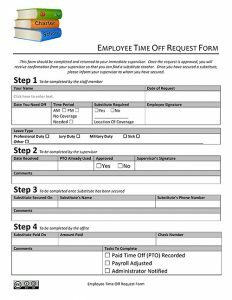 Form to use to document when an employee is absent from work and to record paid time off / sick leave / etc. 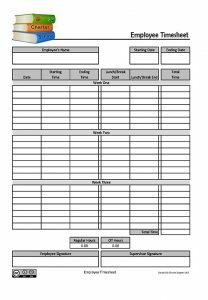 Sample timesheet form which automatically calculates an employee’s total time for a pay period. 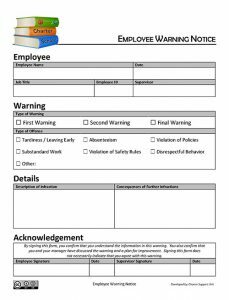 This is a sample form to document warnings issued for disciplinary issues related to the school’s employees. 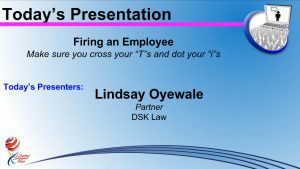 Sample employee offer letter which can be used when an employee will be hired prior to signing an employee contract. 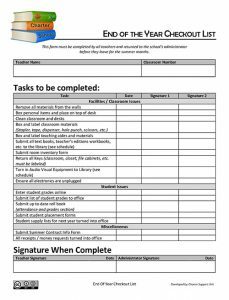 Sample list to give to teachers before they leave for the summer months to ensure all tasks related to closing the school up for the summer are complete. 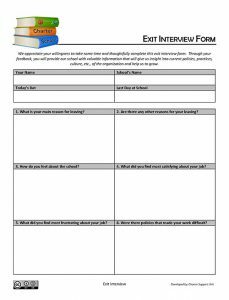 Sample questionnaire to give to employees once they leave employment with the school to collect data about how the school can improve from the employee’s perspective. 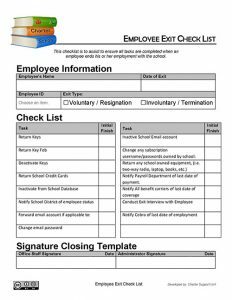 This form is meant to provide documentation to employees who are separating from the school with regards to the amount they should expect on their final paycheck. 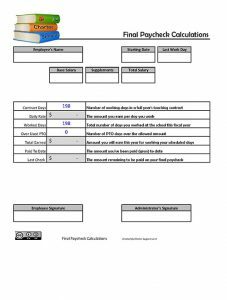 This document aligns with the calculations defined within the Sample Compensation Manual. 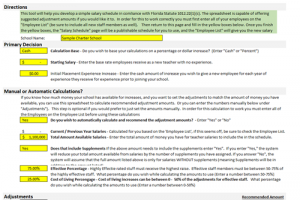 Florida Statute 1012.22 requires that schools develop a performance salary schedule by July 1, 2014. 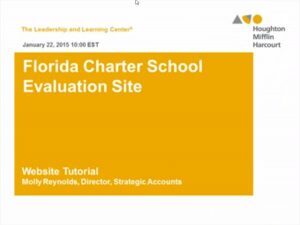 Charter Schools are not exempt from this requirement. 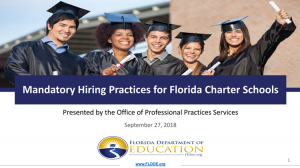 Below are resources available to help schools develop their performance based salary schedules: Webinar: The CSU conducted a webinar on May 29, 2014 to discuss the requirements….